I would like some verdicts on this G&P M16A1 barrel. 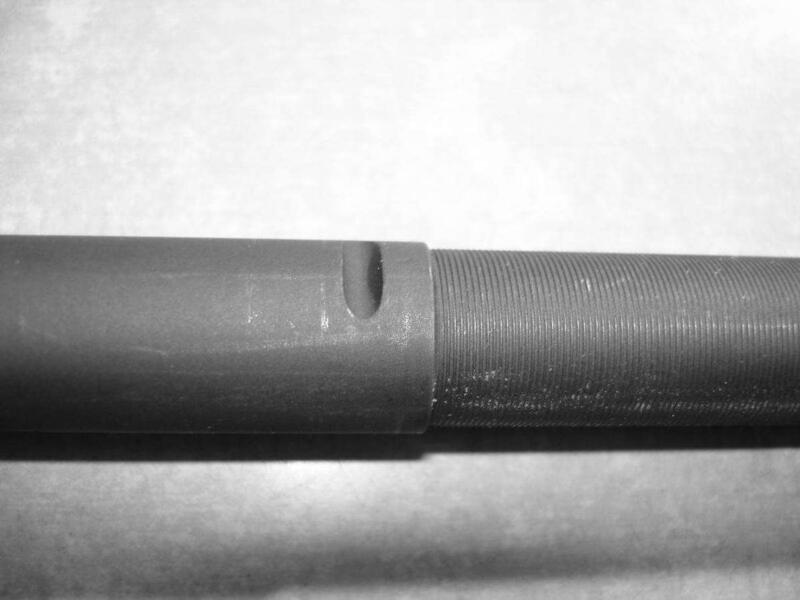 I am an Amateur Engineer and own a couple of lathes and so seeing this finish on the last 116 mm of the barrel has me baffled and personally do not like it. On one hand AR15SPORT.COM in the US have said it is a little rough and I could use it as a cheese grater, and the Engineer at a dealer over here in the UK has said it is how the G&Ps look. I am a newbie to this Forum. I was a great fan of G&P until a friend of mine had his crack for no apparent (stress) reason. The retailer repaired it for him, but I do wonder about the quality of the finish/metal.